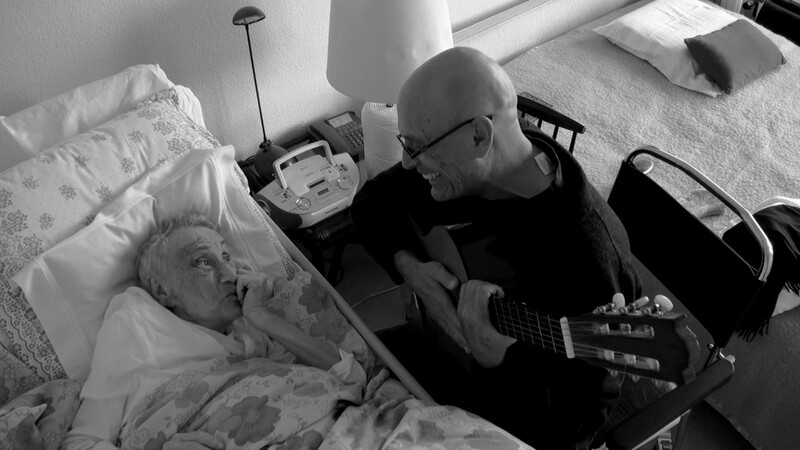 The final film of Salem Film Fest 2016, TWILIGHT OF A LIFE, is a beautiful and intimate glimpse at the relationship between director Sylvain Biegeleisen and his 95 year-old mother. 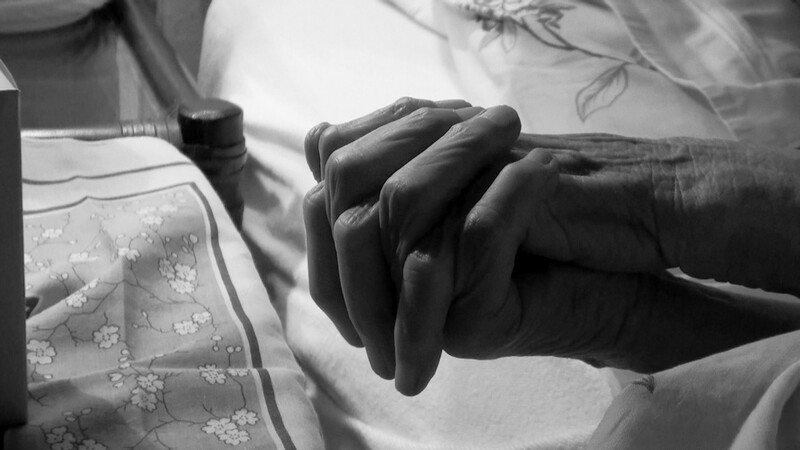 After being informed by a doctor that she doesn’t have much time left to live, mother and son decide to celebrate life, rather than mourn death. Biegeleisen picks up a camera and documents their conversations and interaction, while the film that emerges is both heartwarming and at times, sidesplittingly funny. JS: Making a personal film can either be incredibly hard or incredibly liberating – what was your experience with TWILIGHT OF A LIFE? SB: In the beginning, I had no idea that there would one day be a film! Only when I started to shoot sequences, after a few month I understood my personal story was in fact a universal story that could reach anyone! Since TWILIGHT OF A LIFE is an incredible journey full of wisdom and humor, it was more of a creative liberating experience. JS: Was there a particular moment with your mother that you decided you needed to make the film? SB: After showing sequences to my sensitive and talented editor Joelle Alexis, her reactions gave me the push to decide to do a film out of my experience. I shot 80 hours of footage. I knew that part of it was very intimate and had no place in the future film. But a lot of sequences were very moving, emotionally. It was like traveling back in time, experiencing again the essence of what happened between my mother and myself. Today, when I watch the film, it is like going back to school, the School of Life, and learning again and again pearls of wisdom from my 95 year-old mother. JS: The intimacy of the film is beautiful and your choice to show the film in black and white, rather than color seems to really accentuate that – what was your creative thought process in making the film? SB: It was Joelle’s idea in the editing room. She proposed it to me and I loved the idea of B&W. My idea was to add color to the landscape sequences, to have a touch of poetry! B&W is in itself, in my eyes, very artistic. Today, everything is full of colors. Even my film, the TV version is in color because broadcast stations do not want to have complaints that something is wrong with their TV. It’s a pity, because people are clever and sensitive enough to enjoy Art and B&W. But, broadcasters are afraid and prefer color items. Until today around 20,000 people saw the film in 15 Festivals and screenings: all of them enjoyed the B&W – so it works! JS: It’s a film that is “openly private” – as the audience eavesdrops on your relationship and intimate moments shared – can you talk about what you felt was important to share in the film? SB: It is mainly a natural relationship experience with my mother. Nothing premeditated. Just the two of us for an intimate true journey, the camera in one hand, my guitar in the other. That’s why from time to time, I burned the potatoes or the fish…What touches the audiences all over the world (the film was already in more that 15 Festivals + 8 awards) is the “universal” aspect of our Mother-Son relationship, the love that flows between us, the joy just being together in little simple profound moments. Each person in the audience can take something personal from the film and, like a seed, plant it in his own Garden of Life. JS: I was saddened to hear that your mother has passed away, was she able to see the completed film? If not, what do you think she would say about it? SB: She did not see the film but she is surely proud, somewhere between the stars, of what the film is doing to people. And she is maybe laughing knowing that I might, some day in the future, maybe earn some money out of it. But the most important thing I am proud of is the fact that people see in her a model of “woman” with character, tenderness, humor, spirit. 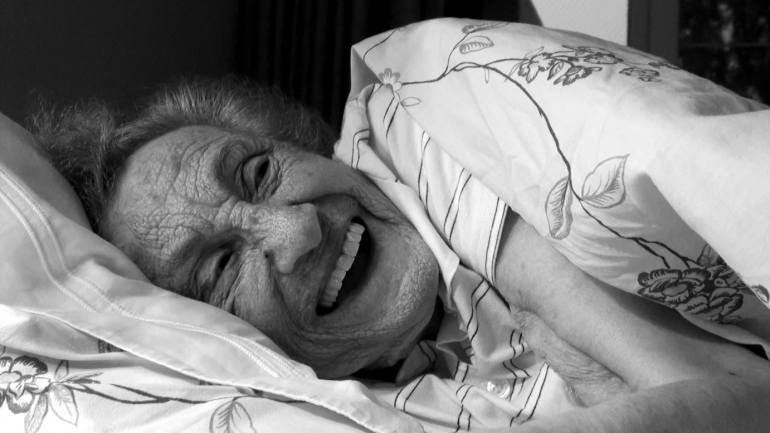 At my eyes, she had the character of Margaret Thatcher or Golda Meyer, but was a simple woman caring for a healthy “house.” Behind millions of women like my mother, there is a hidden “wisdom.” To them, I dedicate the film. TWILIGHT OF A LIFE is the closing night film of Salem Film Fest 2016, and screens at the Peabody Essex Museum on Thursday, March 10 at 8pm.